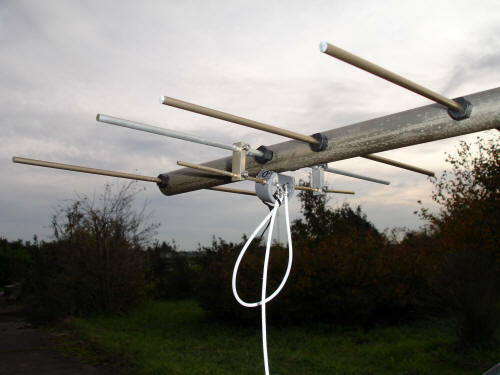 I wanted to build up a antenna group with it to be used on tropo and EME. After unpacking my first impression was that the antenna was nice build and looking fine. I started assembling the antenna. 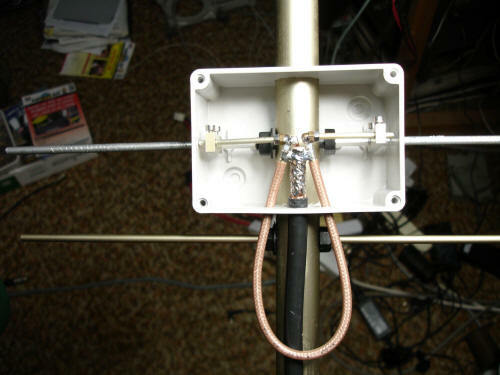 After my first antenna was assembled I wanted to measure the return loss but then I found it impossible to get a good and stable return loss. After some more measurements I found that the balun was not working as it should and that there were strong RF currents on the outer coax cable. This was clearly visible when I moved my hands over the coax cable, even well outside the hot radiation area of the dipole. I contacted the distributor were I bought the antenna and after some more e-mails exchange I became in contact with I0JXX. Conversation with I0JXX was constructive but very difficult. After I received some new dipole feeds I decided to open it up to see how it was constructed. This was a hard job because its filled with resin which is very strong. With some brute force and patience to be sure not to damage the construction I realised to open the dipole feed construction. 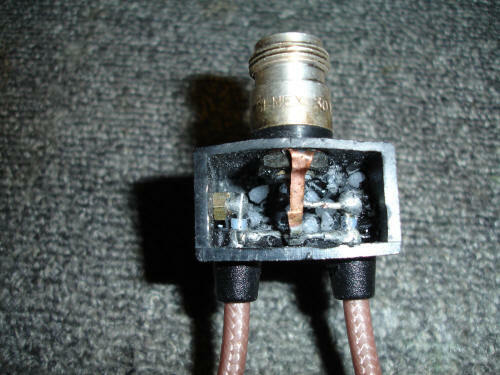 After it was opened I found the problem why the balun from the antenna was not working. It was manufactured like it was an HF antenna. 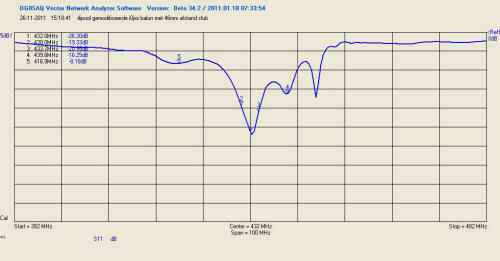 For a 70 cm antenna this construction is absolute no good. 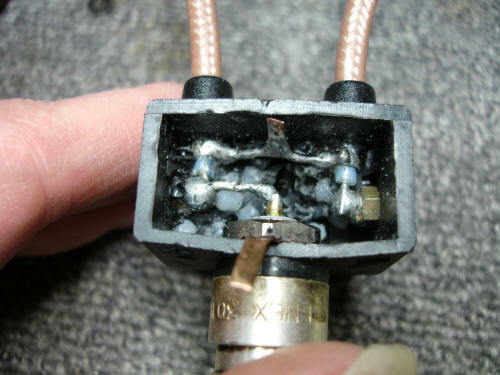 Small wires working as inductors coupling to each other and a ground connection with high inductance coupling to the other wires. 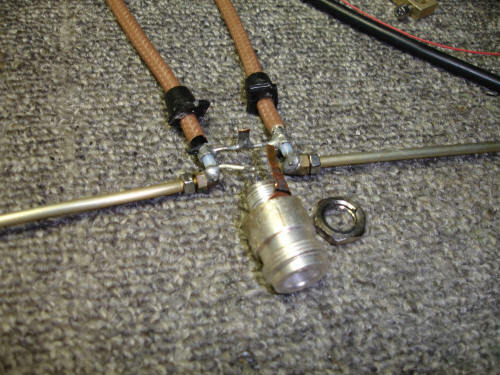 The dipole with a home made balun construction, worked much better. No longer unbalanced and less problems to create a good and stable return loss. This is my construction to build a waterproof setup with a good balanced balun.